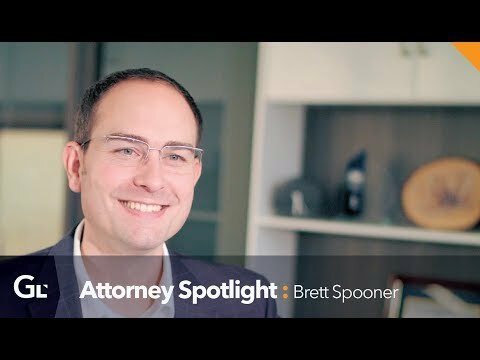 Brett Spooner is the Founder, Chief Executive Officer, and Managing Partner of Gravis Law, PLLC, a National Law Firm with headquarters in Richland, Washington. On a day-to-day basis Brett runs Gravis Law and dedicates much of his free time to the growth and expansion of small businesses and the entrepreneurial ecosystem in the Tri-Cities. As an angel investor, tech enthusiast, and serial entrepreneur, he merges his skills and interests to solve access-to-law problems. Brett earned his law degree from Gonzaga University School of Law in 2013 after four years working in the legal and tech sector. At Gonzaga, he focused his studies on Business Law and Securities Regulation, working in the Business Law Clinic, and organized joint entrepreneurial and startup efforts across the community. Through law school he grew, started his first privately held investment company, and managed a national consulting company that provided software implementation, cybersecurity, and process management procedures to law firms and banks. After Gonzaga he jumped right into practice for himself and founded Gravis Law, PLLC. He is currently the Founder and CEO of Manage Squared, Inc. a software as a service company that makes legal case management software, and President of a co-working space called Fuse, where one of Gravis Law, PLLC’s offices is located. Further, because of his strong interest in economic development, he is on the Board of the Tri-Cities Regional Chamber of Commerce, Gesa Credit Union, Wildland Labs, Inc., and State of Motion, where he focuses his volunteer time with organizations that further the entrepreneurial ecosystem. Brett is passionate about spreading his knowledge about business with his community, he provides education openly to the community every change he gets; teaching about business and law at Launch University, Fuse, Washington State University Tri-Cities, and Columbia Basin Community College, where he lectures on topics such as entrepreneurship, business development, board development, millennials in the workforce, and private access to capital. Brett’s goal is to solve accessibility issues in law, entrepreneurship, and economic development across the nation. He is a serial entrepreneur himself and seeks to achieve a healthy balance between real world business experience and the legal profession. To attain this harmony, he is actively engaged in multiple philanthropic works, investment funds, commercial real estate development, and private business endeavors ranging from a solar-powered distillery to software as a service company. When Brett is not immersed in the business community of the Tri-Cities, he spends time with his wife and daughters. He also enjoys mountain biking, hunting, golf, and writing science fiction. He believes most in the national activation of local community impact, and capitalism for cause.